Coupled with her academic skills, Shelly Reed harbors an outgoing and endearing personality. She has an incredible ability to organize and motivate with her equally humorous and energetic personality. With the loving support of her husband, Rich Reed, they relocated to Lake County in 2000 in order to pursue their goal of self employment in a growing area. With Shelly’s strong background in Insurance and Sales, she went on to become one of Lake County’s top producing Realtors. Starting out in 2003 with a small local brokerage, CPS Country Air, and then advancing to join the team at Century 21 North bay Alliance in 2009. She continues to grow and strives to achieve the highest standard of service in the industry. Her love for the real estate business ensures an intense dedication to giving her clients the best experience they can have with a real estate agent. She believes that in a smaller area like Lake County, your reputation is everything, and has made every effort and beyond to uphold hers in all aspects of her life. Shelly truly cares about her clients and goes above and beyond to meet all of your needs. Whether you are buying or selling a home, Shelly Reed is the best agent to deliver your success. 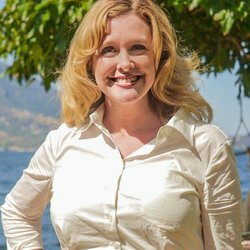 Shelly Reed is a full time licensed realtor, specializing in the purchase and sale of single-family residences, fine homes & estates, and short sale’s within the Lake, Napa and Sonoma counties. As an active member of the community, Shelly prides herself on her knowledge of current trends in the market place, short sale negotiations, neighborhood information, and community growth. Armed with this information, she is a fit and able guide to help you maneuver your way through the many processes that are encompassed in all of your real estate related endeavors. As a top producing agent for Century 21, attaining success for her clients is a constant goal and a full-time endeavor. As a customer driven realtor, Shelly is dedicated to achieving results and providing exceptional service and will put all of her 14 years of experience to work for you.